While getting equal pay is not a goal that can be reached overnight, it's critical to keep all channels of communication open with both female and male coaches and work through such challenges through honest discussions in a supportive environment. Encourage women on your team or in your department to ask for they want and to build a case for themselves based on merit and reaching set goals. It's important to make the ask. 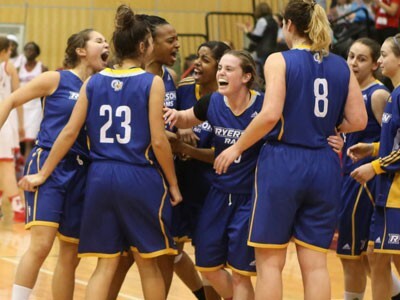 This post has been written in collaboration with Carly Clarke, Head Coach of Women's Basketball at Ryerson University, and Lisa Haley, Head Coach of Women's Hockey at Ryerson University. 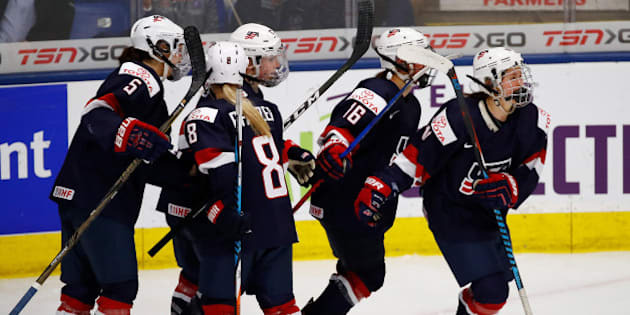 Last week, the US Women's National Hockey team struck a historic deal with USA Hockey, after more than a year of negotiations over wages and equitable support. The team had announced it would boycott the International Ice Hockey Federation Women's World Championship games if their demands were not met. The deal they made is a big victory for the US Women's hockey and a small step towards progress for women in sports. Female athletes and coaches face major challenges, from gender pay gap and unequal treatment to underrepresentation in media coverage and airtime. "We feel like we're treated like second-class citizens because they don't care as much about us as they do the men," Carli Lloyd, then captain of the US Women's Soccer team, once told CBS. The US Women's Soccer team is currently in the midst of negotiations over a new pay deal. Here are some solutions to help women in sports overcome the challenges they face and advance their leadership. The pay gap is a major challenge facing female coaches today. Coaches of male teams get paid more than coaches of female teams (men typically coach men, and men and women coach women). In Canadian university athletics, there is no revenue generated through sports, hence, it's unclear why the disparity between both genders exists when both male and female coaches in most cases are doing the same job. Create a culture that breaks down stereotypical barriers to advance women's leadership. For example, last year Ryerson University hired Kori Cheverie, the first woman to be named a full-time assistant coach with a men's hockey program in Canadian university athletics. That action sends a clear message throughout the organization that women are valued, respected and appreciated as equal contributors to the team. This recent video entitled "The Future of Sport is Female" is a great example of Ryerson's commitment to advancing women's leadership in sports. In Canada, 41 percent of girls aged three to 17 don't participate in sports. That number jumps to 84% amongst adult women. That is disappointing. Participating in sports is a key contributor to developing high self-esteem, as a number of studies show. In fact, sports has lasting impact, especially amongst women. A survey by Ernst & Young shows that 90 percent of women in senior managerial and executive roles have played sports throughout their eduction. Amongst C-suite executives, that rate dramatically rises to 96 percent. We need to encourage girls to play sports at a young age and to educate them on the opportunities of building a career in sports. Community outreach, such as efforts by the Champions Fund, is also important. Men's support, whether in the office, on the field or at home, is critical to women's advancement in sports. Having a supportive partner, as some of us have experienced, can make all the difference. As Facebook COO and women's advocate Sheryl Sandberg once wrote in her book Lean In: "I truly believe that the single most important career decision that a woman makes is whether she will have a life partner and who that partner is." Engage men and boys to step up as agents of change to level the playing field for women. #HeforShe, a solidarity campaign initiated by the UN, is a great example.